Screat USN Anti-air Penalunits.. oh wait..
IMO WG is trying to balancing those two CV, so they are temporarily deleted from the pt server..? 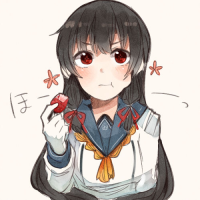 Taihou is Love..Taihou is Lyfe..
Come on Patch 0.3.1! Taihou and Iowa!! Bording the HYPE TRAIN ASAP! gib 0.3.1 nao or i will NOMNOM ALL ZA COOOKIEE!